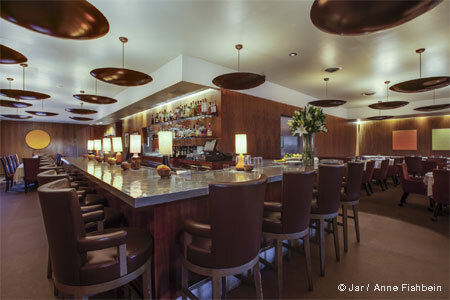 Downtown Los Angeles is home to The NoMad, helmed by chef Daniel Humm and restaurateur Will Guidara. 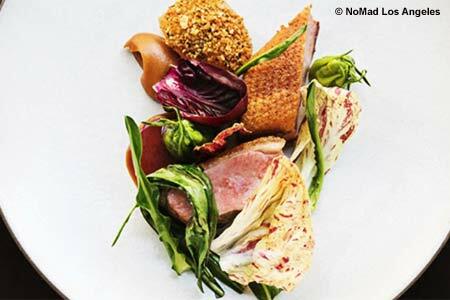 : Downtown Los Angeles is home to The NoMad hotel and restaurants, helmed by Eleven Madison Park chef Daniel Humm and restaurateur Will Guidara. The concept started in New York and also expanded to Las Vegas. Located on the ground floor, The Restaurant serves breakfast daily, weekday lunch, dinner and weekend brunch. In the evening, guests can share large-format dishes such as honey-glazed half duck or whole-roasted chicken. Other dining options include The Giannini Bar and The Rooftop outdoor café.